Dr. Smith grew up in beautiful Alpine, Utah, with his wonderful parents and seven brothers and sisters. Dr. Smith was a dentally challenged kid having spent a lot of time in the dental chair including wearing braces three times! It’s no wonder he chose to become a dentist! Once the goal was determined, he carefully planned out the steps he would need to take to achieve his dream. 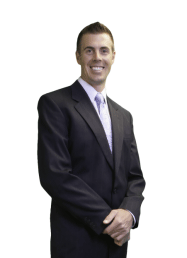 After graduating from American Fork High School, Dr. Smith attended the University of Utah, where he completed his pre-dental requirements. He then attended one of the top dental programs in the country, Tufts University School of Dental Medicine, in Boston, MA where he received his DMD. He made the Dean’s list for academic achievement and scored high honors on the National Dental Board Exam. He devoted much of his time volunteering in the dentally underserved communities in the Boston area teaching children and providing dental care to them. He moved to sunny Gilbert, Arizona in 2005 to get out of the cold and be closer to his family. He prides himself on providing only the best care to his patients. He is committed to providing his patients with the finest dental care. To this end, he is continually learning and attends many courses and conferences ensuring that he is always at the top of his profession. 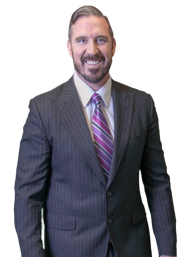 Dr. Smith is a member of many dental groups including the American Dental Association, the Arizona Dental Society, the American Academy of Cosmetic Dentistry, American Academy of General Dentistry, and American Dental Society of Anesthesiology. When Dr. Smith is away from the office he enjoys time with his wife Allison, two beautiful daughters, Savannah and Boston and energetic son, Sammy, as well as with his friends and family. He is a big kid that likes to play hard when he is finished with the day’s work. Anything that requires action he’ll do. Among his favorite activities are riding his road bike and motorcycle. He likes boating and hiking, working out, and playing any kind of sports.